it's no secret that we're not huge football fans, but we do enjoy watching the super bowl. (mostly we like seeing the commercials and the half-time show.) there is just something about the super bowl that makes you want to sit down on the couch in front of the tv with football food. so, we had our own little super bowl party yesterday, just for the two of us. 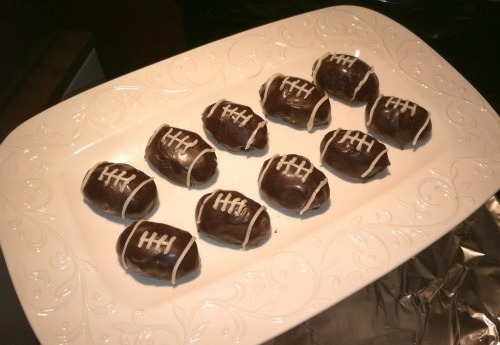 we made fun football food for dinner, and for dessert, we made oreo truffles in the shape of footballs. they were really tasty and so easy to make! 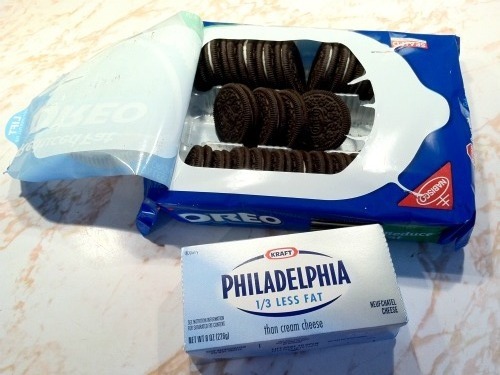 and add them to a bowl with softened cream cheese. and the softened cream cheese. and place them on a baking sheet lined with wax paper. refrigerate the little footballs for about 1 hour. 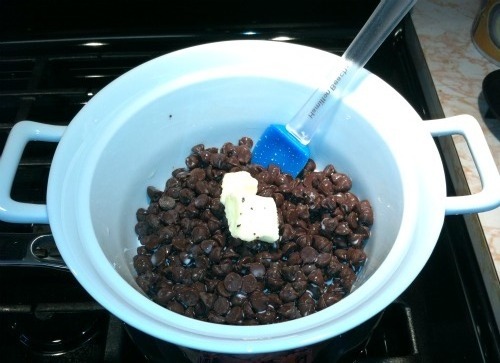 in a double boiler, melt chocolate chips, butter, and milk. 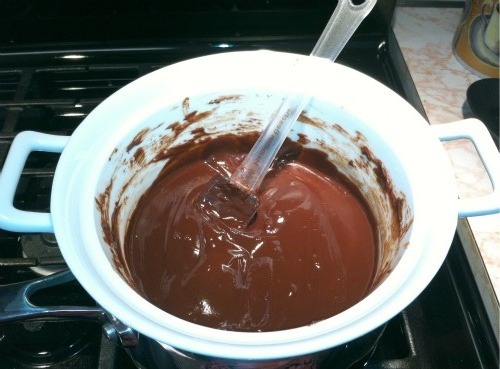 stir constantly to keep the chocolate smooth. then refrigerate them for about 15 minutes. decorate the little footballs with melted white chocolate. 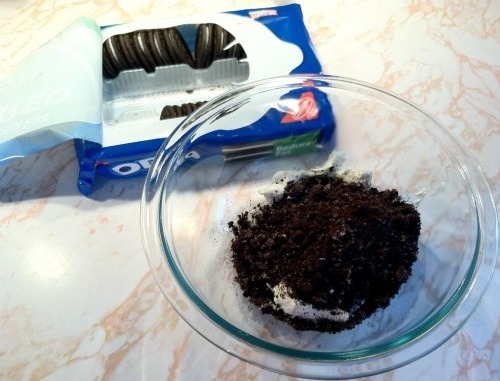 place the oreo cookies in a ziploc bag and crush them into a very fine consistency. 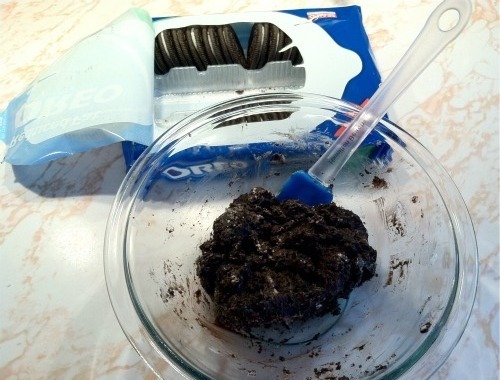 in a large bowl, use a spatula to combine the crushed oreos and the softened cream cheese. roll the mixture into 1 inch balls and place them on a baking sheet lined with wax paper. refrigerate the balls for approximately 1 hour. meanwhile, melt the chocolate, butter, and milk in a double boiler over low heat. stir constantly to keep the chocolate smooth. dip the balls into the warm chocolate. place the balls onto a baking sheet lined with wax paper. refrigerate the balls for about 15 minutes to dry. 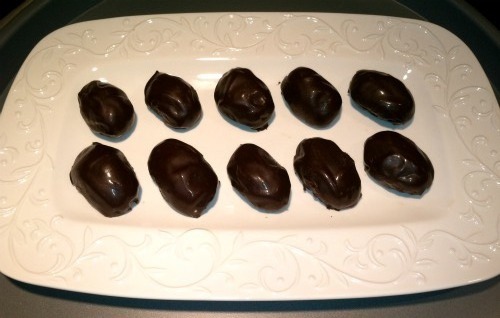 note: since the truffles are made with cream cheese, remember to store them in the refrigerator. these are so cute!! And yummy - one of my favorite treats! Would love to hear what you think of my latest post today! So cute! I'm sure they were yummy too.